The new Honda Amaze has become Honda Car India Limited’s (HCIL) best-selling new model ever. The car has recorded over 30,000 sales in the first three months since its launch, which is the highest sales number recorded by any new model launched by HCIL in its 20-year history. The Petrol CVT and Industry-first Diesel CVT has accounted for more than 30% of the total Amaze sales since its launch. 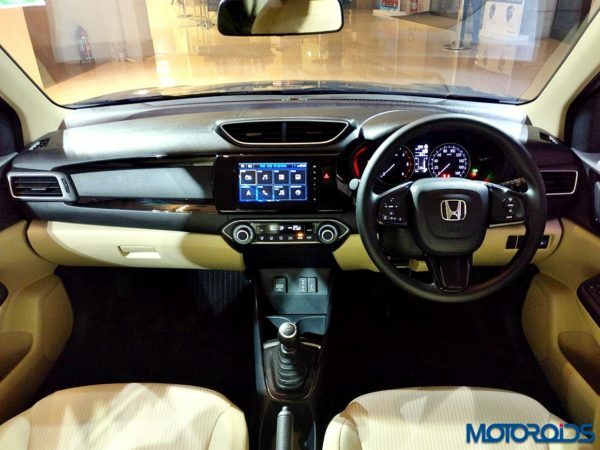 Mechanical specifications are carried forwared from the previous generation model and the new 2018 Honda Amaze continues to use the same engine options that include a 1.2-litre petrol engine and a 1.5-litre diesel engine. The petrol motor is capable of producing 90 PS of power and 110 Nm of torque and is paired to a five speed manual transmission or a CVT unit. The diesel unit produces 100 PS of power and 200 Nm of torque for the manual variant and 80 PS of power and 160 Nm of torque f0r the CVT variant. 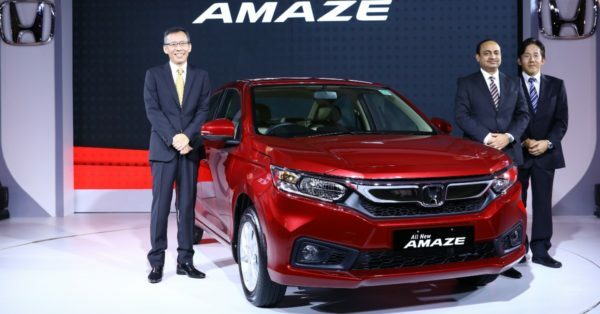 The success of the new Amaze has resulted in excellent sales performance of Honda Cars India which has achieved an overall cumulative sales growth of 12.5% from April – July 2018. India is the first country to get the new Amaze and the car has been developed considering the needs and aspirations of Indian customers. Amaze is aimed to offer One Class Above Sedan experience with its bold design, sophisticated & spacious interiors, outstanding driving performance, advanced features and safety technologies. The new Amaze comes with 3 years / Unlimited Kms warranty and Low Cost of Maintenance. The car has been well received across Tier 1, 2 and 3 markets.